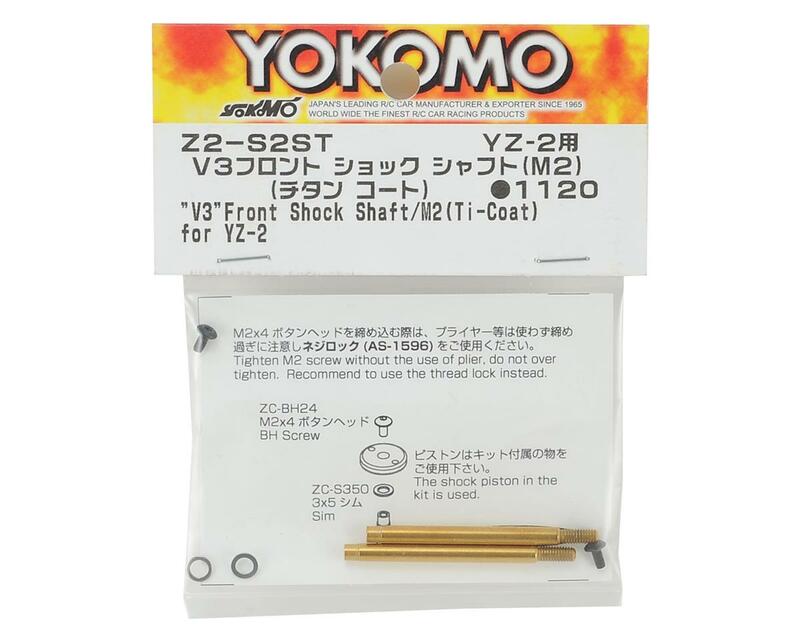 This is a pack of two optional Yokomo V3 Titanium Coated Front Shock Shafts. 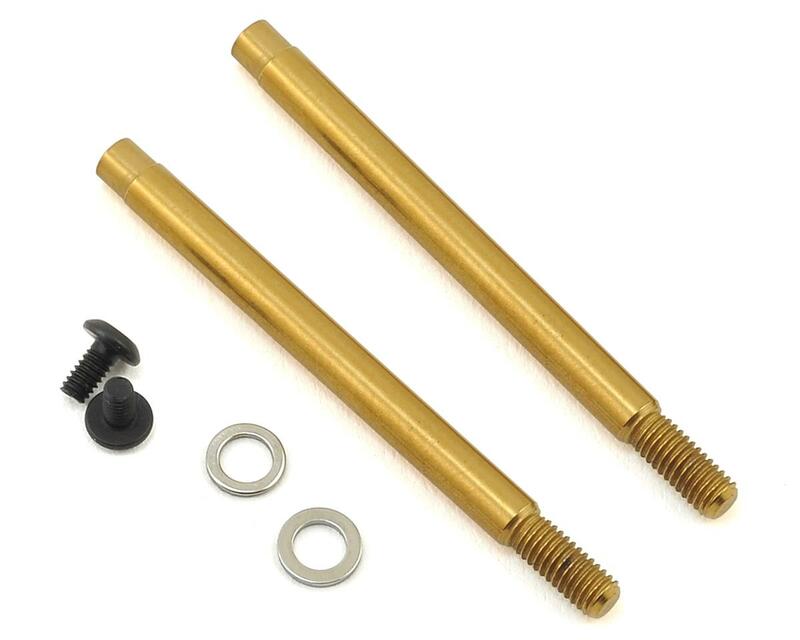 These shafts feature a 3.3mm diameter and are compatible on the front shocks of the YZ-2 series of 2WD buggies. These shafts feature a titanium coating for resistance to scratches and abrasion to the surface, effectively increasing the smoothness of operation and to keep the state of the shock longer. The piston attaches using a screw for improved operation accuracy.